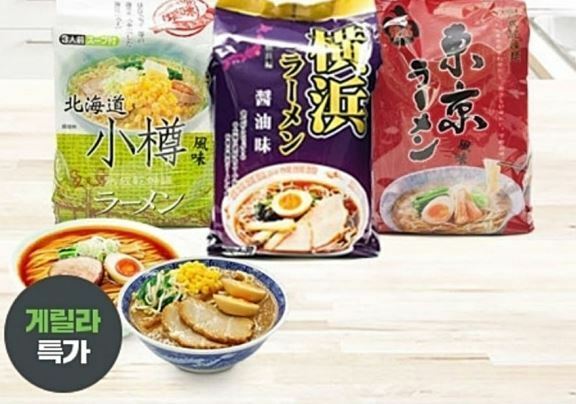 Korean retailers Homeplus and Wemakeprice have discontinued sales of Fukushima-imported instant noodles after the product’s place of origin label stirred up health concerns. Otaru Shio Ramen -- produced in Fukushima, Japan, and imported to Korea by Homeplus and Wemakeprice -- has Fukushima printed as the area of production in Japanese. However, the Korean label specifies only Japan as the place of origin, prompting some consumers to point out that the translated label is misleading and takes away freedom of choice for those who do not know Japanese. Some Koreans have reservations about products imported from Fukushima following a nuclear meltdown during the 2011 Tohoku earthquake. The company said the instant noodles do not cause health problems, but discontinued sales in response to concerns. Wemakeprice, which sold Otaru Shio Ramen through its online channels, deleted the item from its website as of Tuesday night. It had sold just 10 packets before deleting the item.